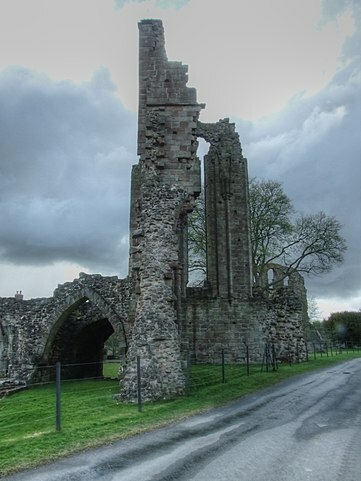 At its zenith in the 13th century, Croxden Abbey (also known as the Abbey of the Vale of St. Mary of Croxden) in Staffordshire, England, was home to 70 monks. 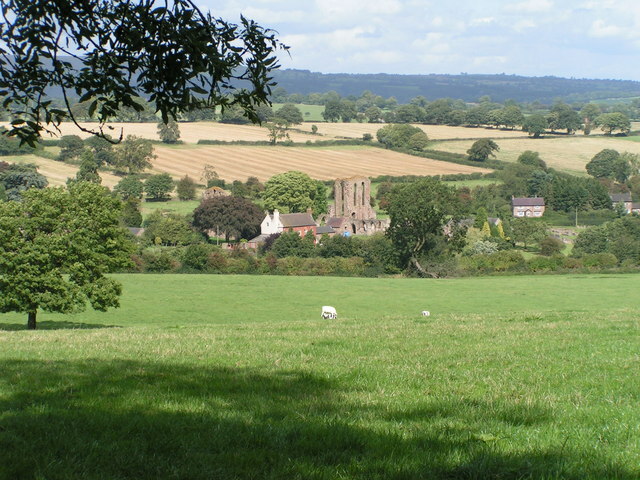 After its suppression in 1538 the abbey complex was converted into a farm. The church roof was removed, leaving it open to the elements. Despite that there is still a lot to be seen. The surviving parts even now are breathtaking and they give a clear picture of how imposing the complex would have been. The well preserved ruins have a lot of stories to tell and a plenty of interesting details to share. 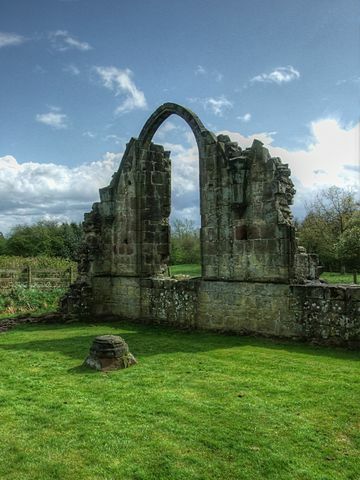 Visitors to this beautiful and peaceful rural setting can see the outstanding remains of some of the former abbey’s structures. Probably its most amazing feature is the 13th century church, or at least is left of it. It is evident that when it was in one piece it dominated the landscape. 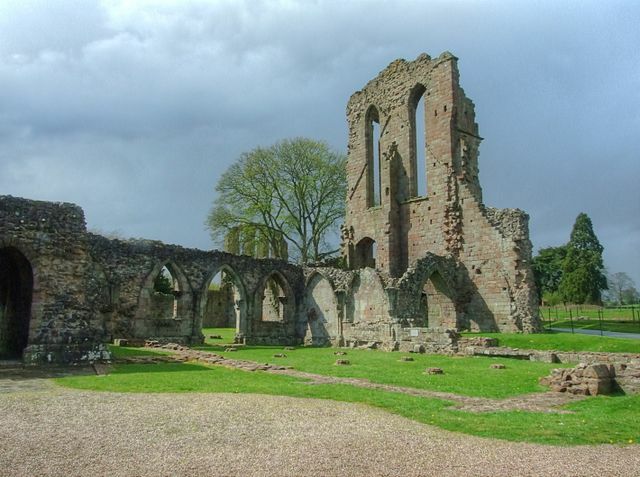 The church was an impressive example of Cistercian architecture and one of the most decorated churches of the Cistercian abbeys in England. Its design was definitely influenced by Norman-French church architecture. The west front with three lancet windows and two doorways (the bigger door is under the central lancet window) still stand proudly and as a rare piece of craftsmanship. A part of the south transept of the church has survived the passage of the time too. Parts of the infirmary and the 14th century abbot’s lodging, as well portions of the dormitory, kitchen, chapter house, cloisters, the parlour, bookroom and the sacristy can be also seen. Most of the buildings were built between 1179 and 1280. 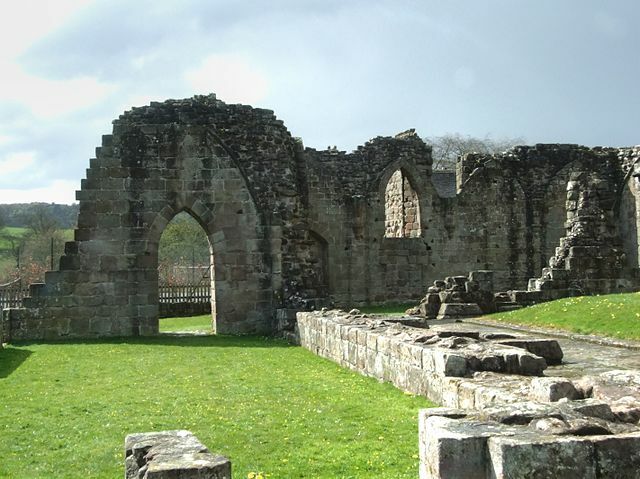 The story of the abbey begins in 1176, when the local powerful nobleman Bertram de Verdun, Lord of Alton, granted land in Croxden and Cotton to a community of a Cistercian monks (known as the “white monks”, because of the color of the habit they wore) from the abbey of Aunay-sur-Odon in Normandy. The Cistercian monks followed the rule of St. Benedict and that meant a strict way of life. They also preferred isolated locations for their self-sufficient communities. 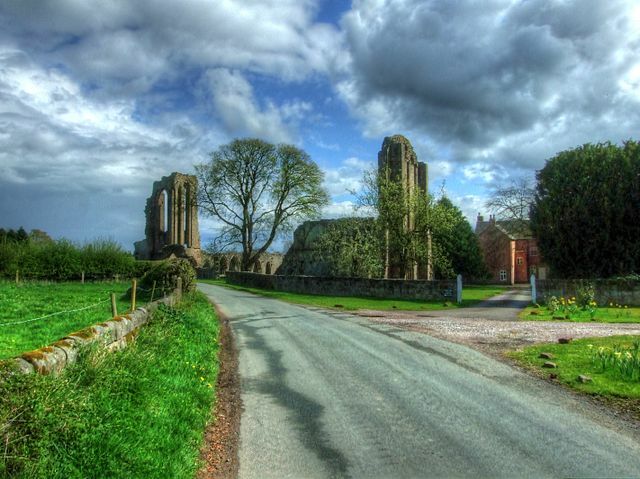 At first the monks founded the monastery in Cotton, but in 1179 they decided to move approximately five miles south to the more remote location of Croxden. Construction of the church was started first, and the cloister and the other buildings were added later. The buildings were enlarged and the complex was almost completed during the time when the abbey was guided by Abbot Walter London (1242-1268). The construction of the church lasted over 70 years and it was finally completed in 1254, although it was consecrated a year earlier. At the beginning it was a small abbey with only few monks, but the number of the monks increased and the abbey prospered. Its wealth mostly came from sheep farming, primarily from trading wool. 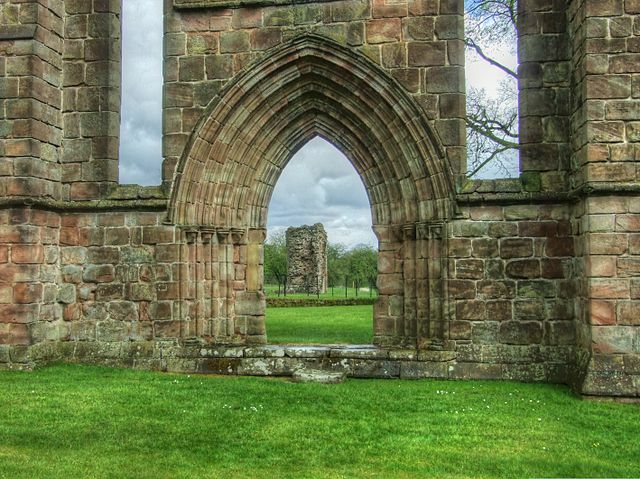 But in the 14th century the community suffered a series of misfortunes — plague, livestock disease and poor crop yields — and the abbey went into decline. 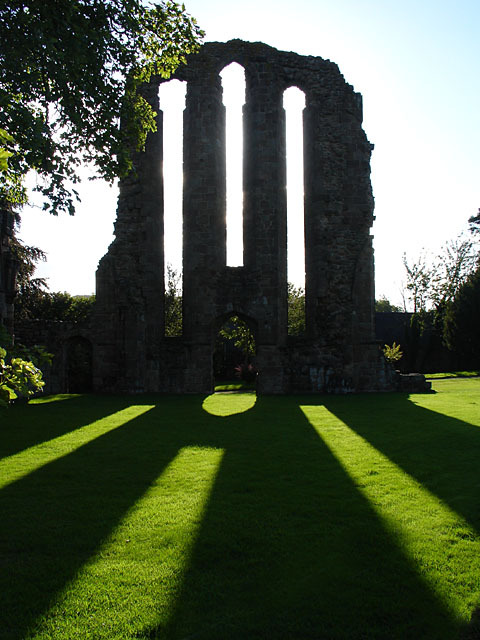 Croxden Abbey was suppressed in 1538, during the time of the Dissolution of the Monasteries ordered by Henry VIII. By that time it housed just 12 monks, led by the 26th Abbot, Thomas Chalmer, who personally signed the deed of surrender. Moreover the king ordered the roof of the church to be removed in order to prevent the monks continuing to worship there. This only sped up the decay of the interior of the church. The abbey and its property soon become part of a farm held by Francis Basset, a servant of Archbishop Cranmer. Some parts of the structures were converted into farm buildings and much of the stone was taken for the construction of other buildings. The cloister became a yard and a path was made across the middle of the church, thus cutting the site in half. The path/track is today the main road through Croxden. The first efforts to preserve the ruin was made in 1936. Today the site is managed by English Heritage. The eastern end of the church is on one side of the road and the rest of the abbey is on the other side. On the east part can be seen the foundations of five circular chapels around the altar, a unique feature for an English monastery. Near the altar are located several medieval coffins, and a small area of the original floor tiles can also be found nearby. Another impressive feature of the site is the drainage system; the stone channels around some of the main buildings are so well made, they look as though they could still be in working order.